If you are looking for a used Toyota Tacoma in Vancouver, North Vancouver and surrounding area, the Goldline Motors sales team will be able to satisfy your needs. Goldline Motors always has a great selection of pre-owned Toyota Tacoma in stock and add to the vehicle inventory daily. 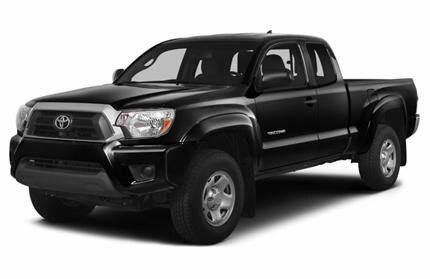 At Goldline Motors we proudly sell used Toyota Tacoma to customers from Vancouver, North Vancouver, Richmond, Burnaby, Surrey, New Westminster, Coquitlam, Delta, Abbotsford and Victoria. Toyota Tacoma is available in Regular Cab, Access Cab (extended cab) and Double Cab (crew cab) body styles, in either two or four wheel drive. Regular and Extra Cabs come with six-foot beds; Double Cabs have the choice of a shorter five-foot or six-foot box length. The base engine is a 2.7-liter, 159-hp inline-four mated to a five-speed manual transmission; a four-speed automatic is optional. A 236-hp 4.0-liter V6 is standard on all Double Cabs and optional on 4WD Access Cabs. The V6 is paired with a six-speed manual or five-speed automatic. Standard safety features include four-wheel anti-lock brakes with electronic brake-force distribution and brake assist, vehicle stability control, traction control, side-impact/side curtain airbags, and active headrests. The Tacoma is a carryover for 2013. Source: Chrome Data. Toyota Tacoma Review: The Tacoma was named "Most Dependable Midsize Pickup" in the J.D. Power & Associates 2011 Vehicle Dependability Study, and Intellichoice called it a "2011 Best Overall Value" in the compact pickup segment. -- New Car Test Drive. Source: Chrome Data.